National Beer Day is an annual unofficial holiday celebrated by American beer enthusiasts. It is observed on April 7 to commemorate the Cullen-Harrison Act of 1933. Year 1920 marked the beginning of the Prohibition era in the United States. The sale, production, importation, and transportation of alcoholic beverages were banned nationwide. The Cullen-Harrison Act marked the beginning of the end for prohibition in the USA. The act was proposed by Representative Thomas H. Cullen and Senator Pat Harrison. 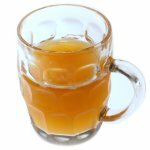 It legalized the sale of beer and wine with low alcohol content (3.2% by weight / 4.05% by volume, thought to be too low to be intoxicating). The act was signed by President Franklin D. Roosevelt on March 22, 1933 and came into effect on April 7, 1933. On the first day the act came into force, people across the country gathered outside taverns and breweries to buy their first legal beer in over a decade. They consumed about 1.5 million barrels of beer, inspiring National Beer Day. Some beer enthusiasts begin to celebrate National Beer Day on the evening of April 6, known as New Beer's Eve, because back in 1933 many people gathered outside breweries beforehand. They were waiting for midnight when the ban would be officially lifted.